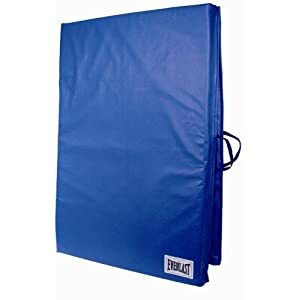 To me, the best Pilates exercise mat for your home fitness and exercise equipment is the simple Everlast 2'x6' Folding Mat. Why? Because it is THICK and comfortable. Ladies, this works far better than those thin little yoga mats. Not only is it a softer feel, (more cushiony), but it is very supportive. This Pilates exercise mat is tough and durable. The stitching is tight and the thread is thick. Handles are sewn on and makes it easy to carry. I have two friends that bought this mat. For home fitness and exercise equipment, this Everlast 2'x6' Folding Pilates exercise mat is far better than the thin ones you find in department stores.